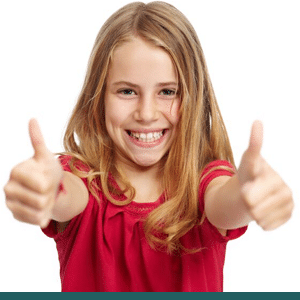 At McAllen Orthodontic Group, we work hard to treat you the same way we would like to be treated: with respect, professionalism, and sensitivity toward your needs. We understand your expectations, and we do everything we can to make sure that you have an exceptional experience at our practice. When you become our patient, you will be assigned to a particular patient manager who will primarily see you throughout your treatment. Your treatment will have a continuity of care and consistency rarely found at other practices. If you are a parent of a patient, you’re always welcomed and encouraged to join your child in our clinical area. We want you to be an active participant in your child’s care. We’re about more than just straightening teeth! We have an awesome 25 seat movie theater where you can have fun parties with all your friends. We respect your time, so we run on time. Your appointments will be scheduled with convenience to your life, so you can get back to your life in no time! We utilize the latest iTero™ digital impression scanner for Invisalign®, so no gooey, messy impressions are needed. Our in-house lab creates most appliances, right here in our office! You won’t have to delay your treatment due to waiting on an outside lab. We’re here when you need us! A friendly staff member will always be on-call evenings and weekends and will be happy to meet you at the office after hours for an emergency. No surprises – our estimated treatment fees are all-inclusive, protecting you from hidden fees. A happy staff fosters happy patients. Our staff has experience and enjoys what they do! Long-term employees mean that you can develop a relationship with our staff throughout your treatment.